This neo, the first ACJ320 in the world, will be completed during the fourth quarter of 2019. The aircraft is due to be delivered green by Airbus to chosen outfitter, AMAC Aerospace before year end. AMAC will be installing the new cabin at its Basel, Switzerland facilities. Maintaining the tradition of making supplier announcements coinciding with Europe’s largest business aviation show, Acropolis, via AMAC Aerospace of Switzerland, has specified Rockwell Collins as cabin management system provider for the aircraft. Acropolis is specifying Rockwell Collins’ high-definition Venue cabin management and entertainment system; Stage on demand; Air show moving map and the company’s innovative Viet LED interior lighting system. The decision to keep loyal to Rockwell Collins builds on a successful relationship which first began with the introduction of Skybox IFE in 2015, through to the upgrade to Stage aboard G-NOAH earlier this year. Jonathan Bousfield CEO. G-NOAH is participating in the EBACE static park this year, available for viewing by appointment, taking time out from what has been a busy year to date, on both sides of the Atlantic. The aircraft is booked through to mid June, undertaking increasingly more leisure / family flying to destinations including the Middle East. Saudi Arabia is especially strong and the USA, where there is increasing demand for flights to movie premieres and music tours – covering the US, Europe and Asia. Kuky Salazar, VP Americas. 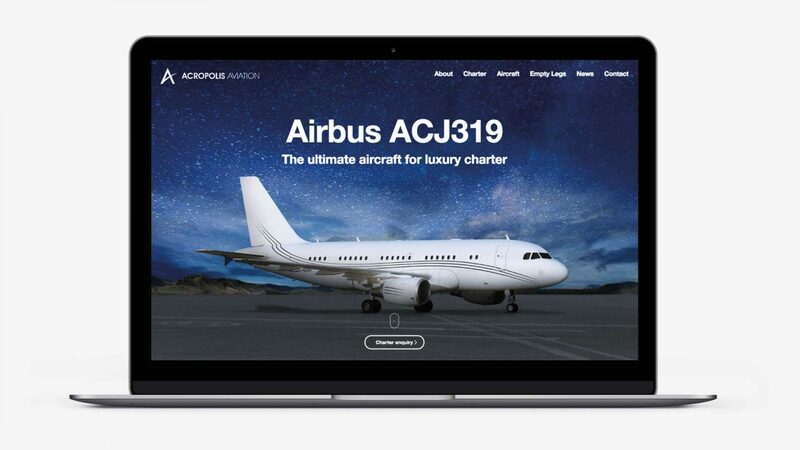 A new addition to the site, which has been created by bizav marketing and design specialist partners, London-based Design Incorporate, is a rich empty leg availability function.